Our team will begin the manual recovery once all files are successfully received. Please follow the instructions and complete the 3-steps. JIHO suggests customers to create an image file of their GoPro SD cards instead of mailing us. An image file is an archive file of your storage device, it can be used to recover data. This method reduces the risk of loss in mailing; and it is more efficient and time saving. 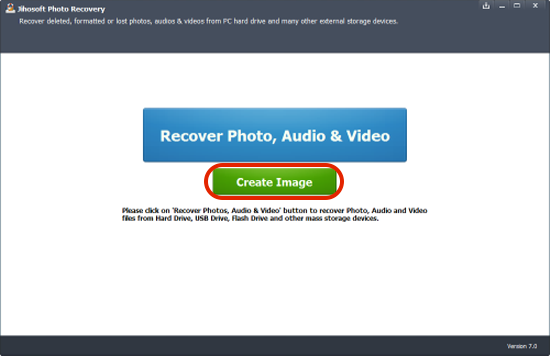 1.Install Jihosoft Photo Recovery. For Mac users, please opt to the Mac version. 2.Connect GoPro SD card to computer -> Run Jihosoft Photo Recovery. 3.Select “Create Image” on the start-up interface. 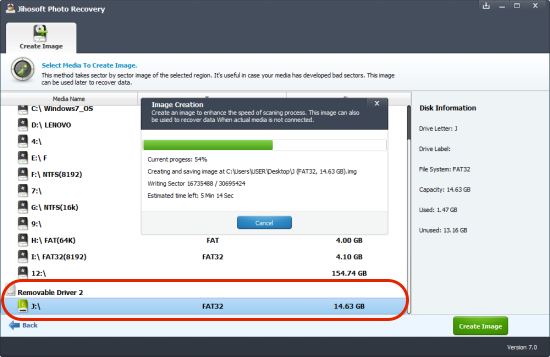 NOTE: The created image file should be approximately as large as the size of the SD card. Please ensure that the selected output location has sufficient storage for the SD card. If there is insufficient storage, the image file cannot be created. Imagine that it would be very frustrated if it suddenly stops uploading the large image file. Therefore, it is better to split the image file into smaller clusters. The success rate of uploading all smaller files is much higher than that of uploading a large file. JIHO provides a free tool, Jihosoft Big File Sender, for customers to split a large image file into smaller pieces. If you are a Mac user, please select the Mac version. 1.Click “Add File” to import the created image file. 2.Set “Split File Size” as 1GB. 3.Select the output location -> Click “Split” to begin. 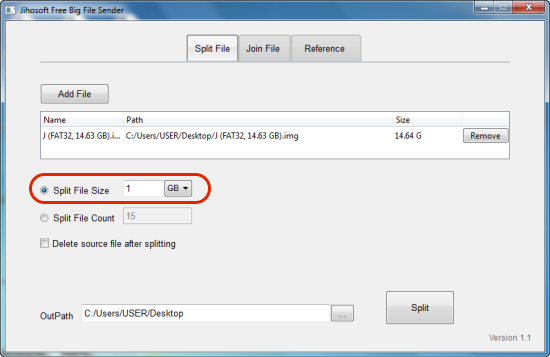 When the splitting completed, go to the selected output location and confirm if the size of each split file is approx. 1GB. The total size of all split files should be as large as the size of the image file. 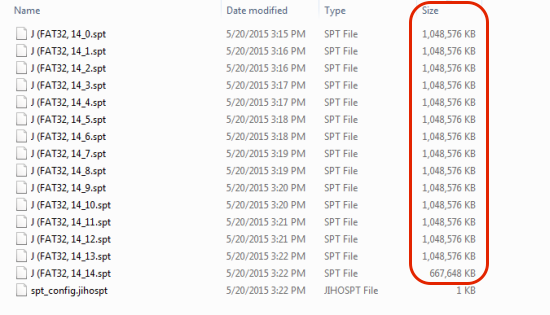 For example, the image file is about 14.64GB and the total of all split files should be approx. 14.64GB. Upload all split files via Dropbox or other online file sharing sites. Please ensure that all split files are successfully uploaded. In some cases, the uploaded files may be shown as 0 bytes. This is considered as a failure and our team is not able to get all of the files. As a result, the manual recovery cannot begin unless all data is received. NOTE: Some online file sharing sites limit the capacity of file uploading. If customers have difficulty in uploading the split files, please contact us for support. JIHO will provide a Dropbox account with enough spare space for customers to upload their split files. Copyright&COPY; 2016 GoPro Recovery. All Rights Reserved.